November | 2016 | The Glyn Watkins Show Page. 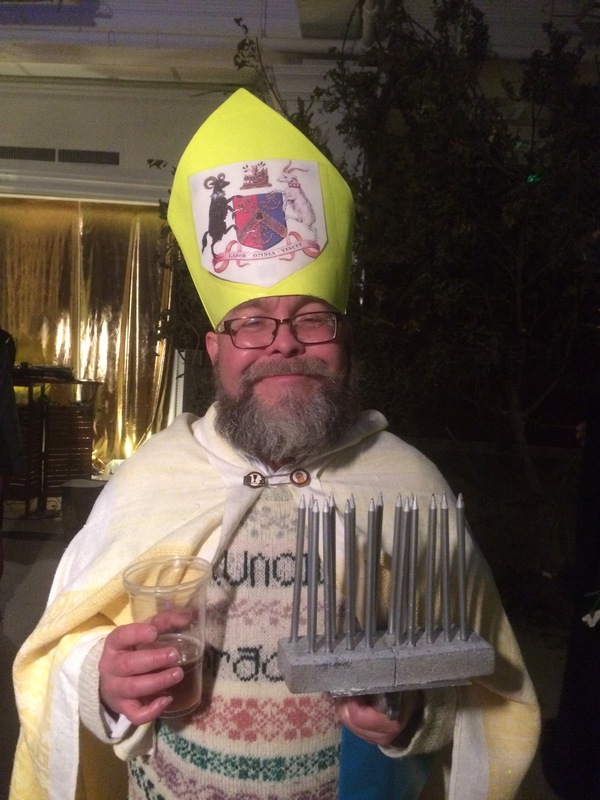 Don’t forget Bishop Blaise will be at the ‘Bradford Eccentrics’ show at the Record Cafe tonight 20th Nov.
Samantha Wass becomes St. Blaise Bradford Events Coordinator. Samantha has already combed through loads of mixed fleeces and come up tops! Click here for her `flickr gallery of Glyn Watkins parading around Bradford as Bishop Blaise. Bishop Blaise will be at the Record Cafe, on Sunday 20th Nov. from 18.00. I am presenting a short talk about the Bring Back Blaise’s Festival, at Leeds’ Heritage Show+Tell, next Tuesday. We’re combing out some good threads. Things are still provisional, but we already have several things organised. If you would like to sponsor an event, or set up your own, please get in touch. Saturday 4th February. The annual St. Blaise walk will start at the Record Cafe; visit the Cathedral; Jacobs; The Lord Clyde; and finish at the Sparrow in good time for people to get to the Bradford City v Gillingham Game. Sunday 5th February. The Bradford Industrial Museum will have a display about Saint Blaise, including material from old celebrations. 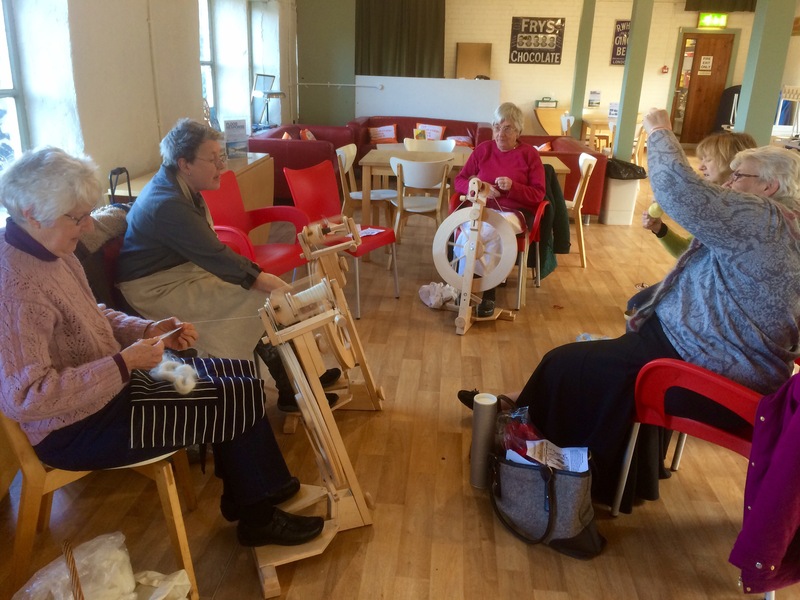 There will also be wool spinning, weaving, and hopefully an illustration of combing. Discussions are underway about a possible bar serving Salamander’s Blaise themed ale. The should also be an exhibition of local knitting at Bradford Cathedral, over the week of the Festival, called Bring Back Great Knits. “Thank you for coming, & being immaculately dressed, as always.” Praise made me feel a bit faint. Photo by the bright and lovely Georgina. Her sister, Toni, called me a great poet and all! I am so glad I did not give up trying to create.